Changing the world one small step at a time. 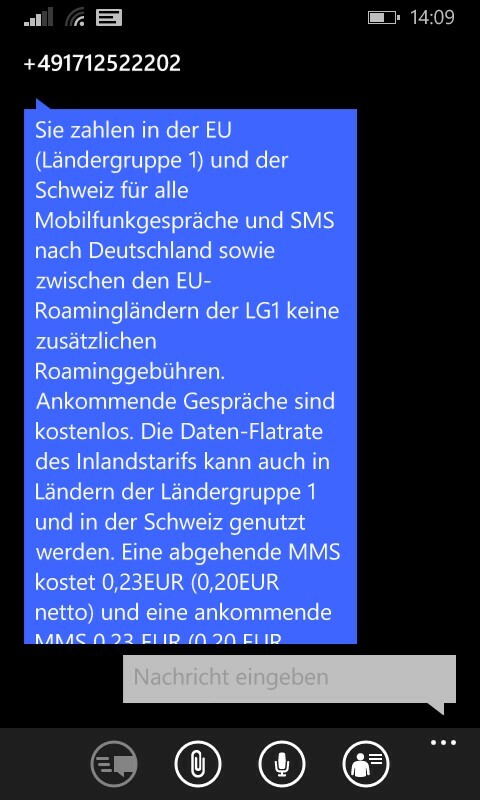 I live close to the Swiss border and it happens that my mobile phone registers with a Swiss operator instead of Deutsche Telekom (who sends me a monthly invoice). After learning the hard way that roaming costs money and happens more often than I thought, I switched to a plan that includes an „All Inclusive“ feature. That way I pay a monthly fee in addition to regular fees and can use my mobile phone in most European countries without varying roaming charges. I am not sure if it pays off, but it is convenient. 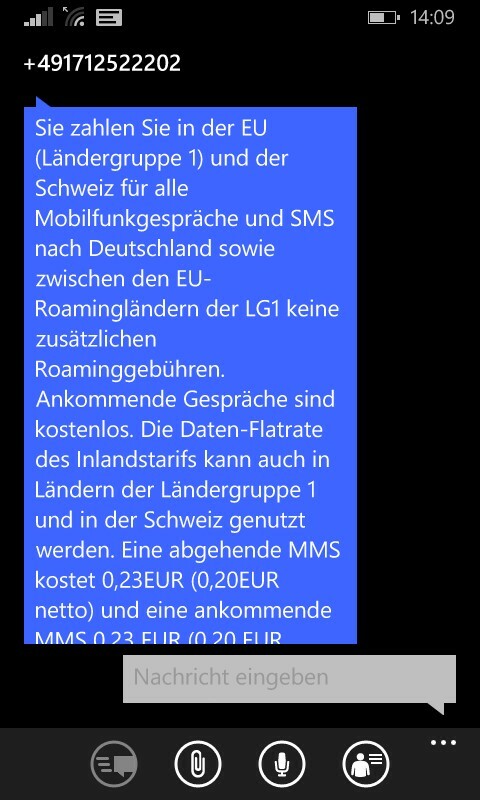 Every time my phone registers with a foreign operator I get a text message that informs me about the costs of making a phone call, sending messages and using data. 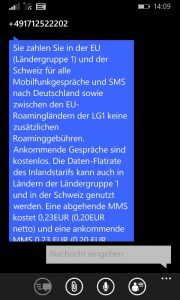 Until early April 2016 the messages started with „Mit den Roaming-Optionen All Inclusive und EUFlat zahlen Sie in der Ländergruppe 1 …“ („With the roaming options All Inclusive and EUflat you pay in country group 1 …“). 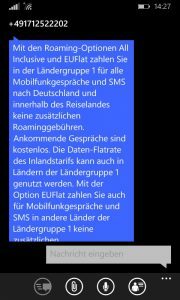 Later that month the messages changed to „Sie zahlen Sie in der EU (Ländergruppe 1) …“ („You pay you in the EU (country group 1) …“) The second „Sie“ (you) looked like a remnant from an incompletely changed message template. Nobody seemed to take notice. Or nobody seemed to care. Less than two weeks later, it was in July, the message I got was different from the messages before. It was correct. 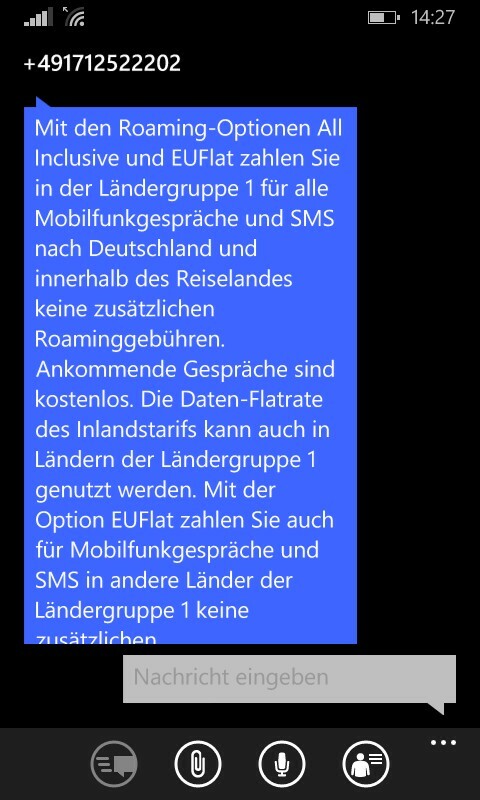 It was the only change made to the text, so I believe somebody in Deutsche Telekom made the change based on my notification. Thanks. Changing the world one small step at a time.